The 12th Graduation day of the MJC Educational Institutions was conducted in the campus amidst a galaxy of dignitaries on the dais. 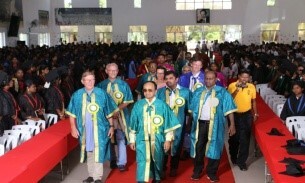 The dignitaries entered the auditorium after the Academic Procession. Mr. Shantanu Sinha, IPS, NIA Eastern Sector Head, was the Chief Guest. The Graduation Day celebrations started with the Invocation; after which, Dr.Lali Thomas, welcomed the participants. Subsequently, Dr. Mary Job, Chairperson of MJC Educational Institutions addressed the gathering and spoke about the goal of the institution. Mr. Shantanu Sinha, IPS, NIA Eastern Sector Head delivered an inspirational speech at the convocation address. 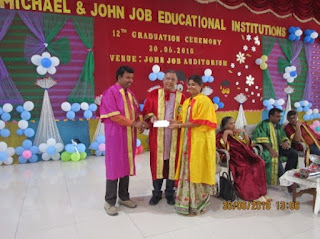 The Gold Medalists and University rank holders were felicitated and degrees were distributed to the graduates and to the students of the Michael Job matriculation higher secondary school. The function was concluded with the National Anthem. 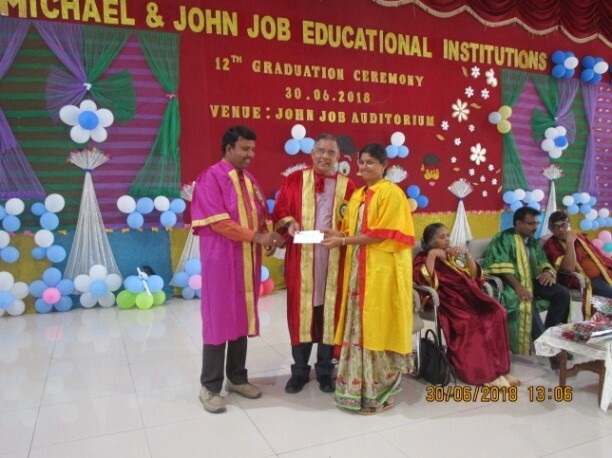 Mrs. S.R.Dhanalakshmi organized the celebration program and Ms. Roja Jasmine was the Master of Ceremony.